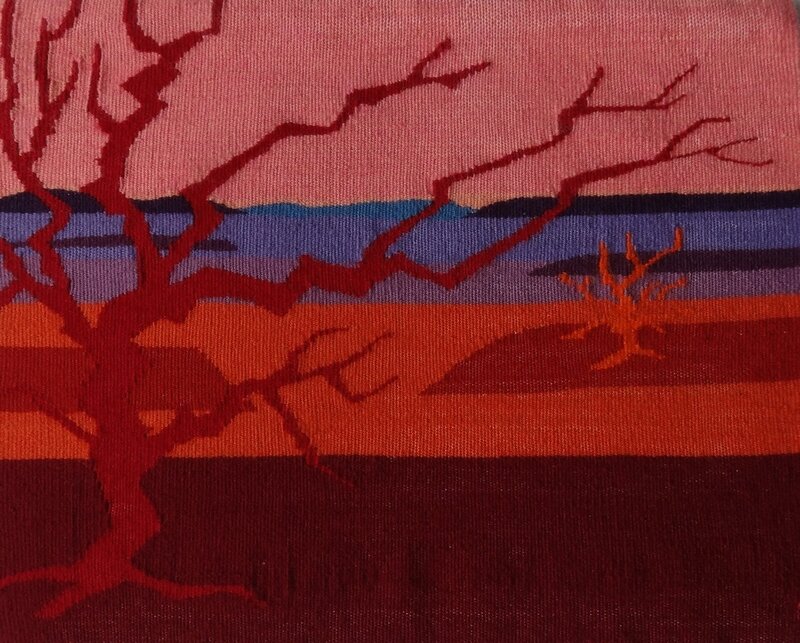 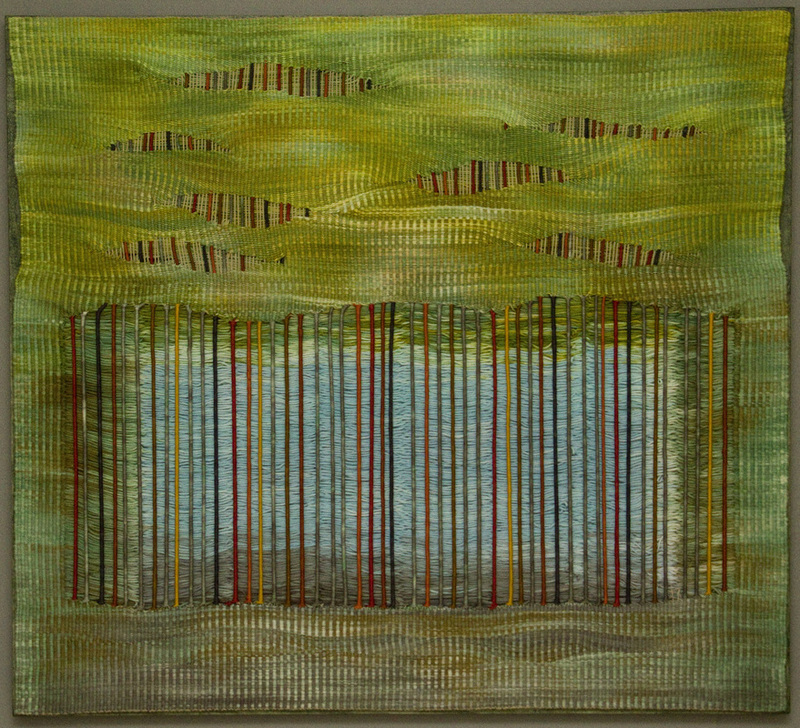 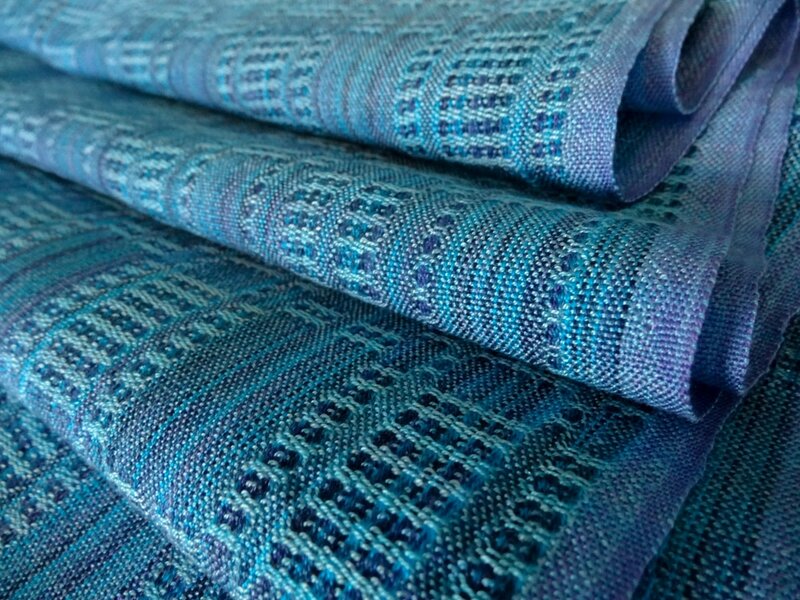 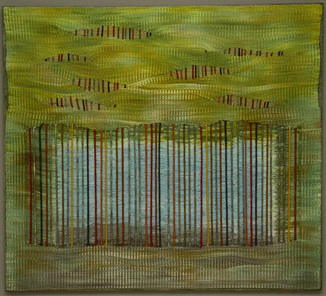 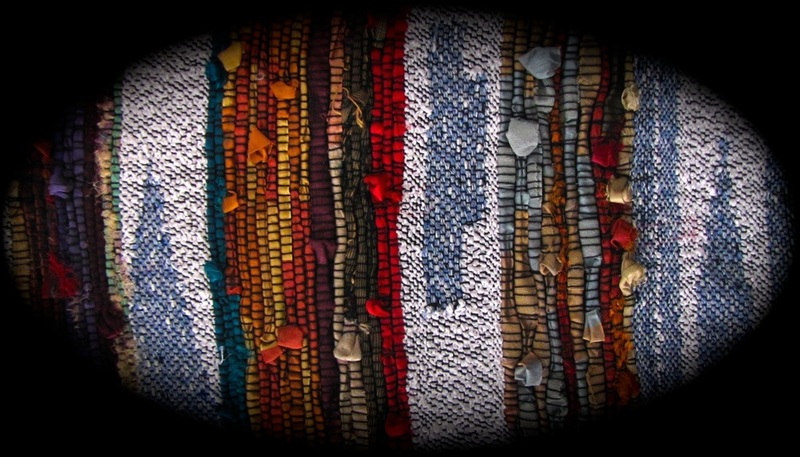 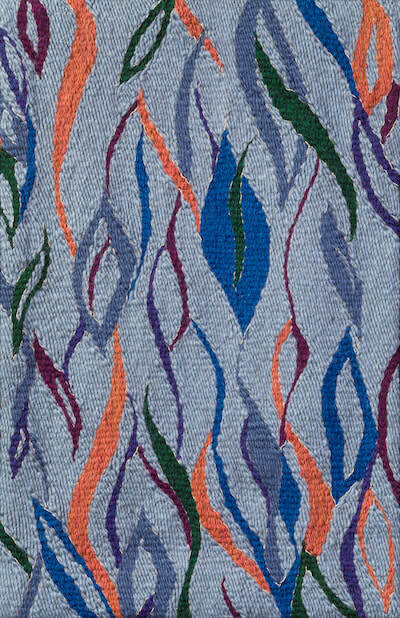 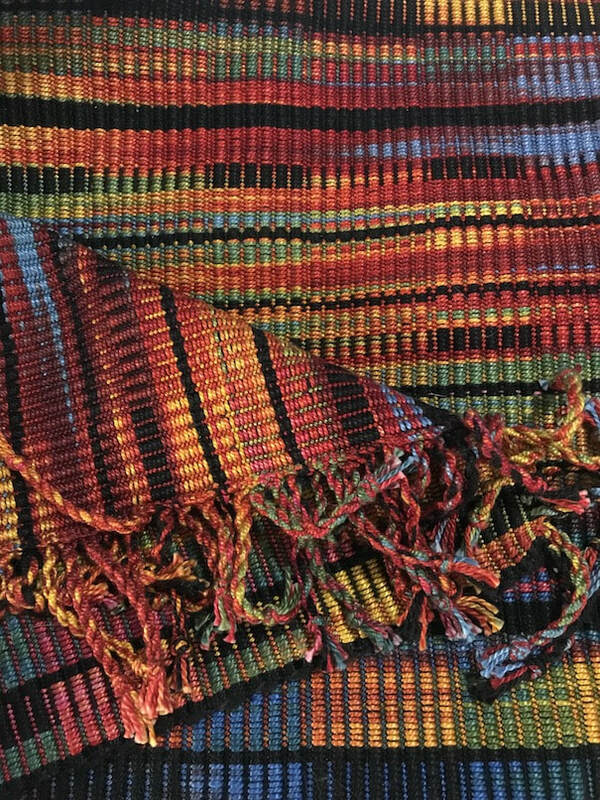 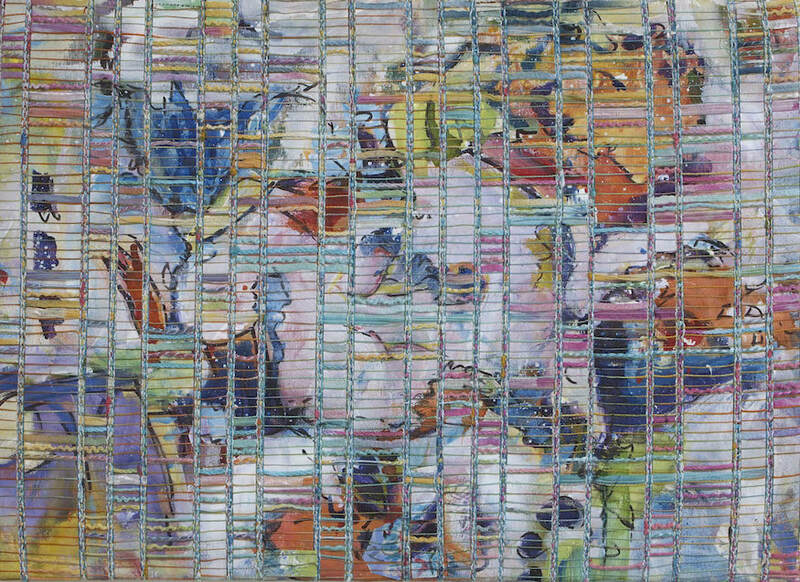 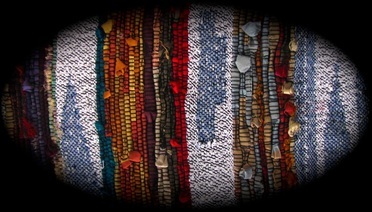 An abstract painting, cut apart and woven back together on a loom using threads that were painted with permanent textile dyes. 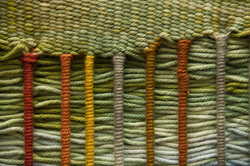 Hand painted 3/2 cotton warp with thick and thin cotton wefts sett at 24 epi. 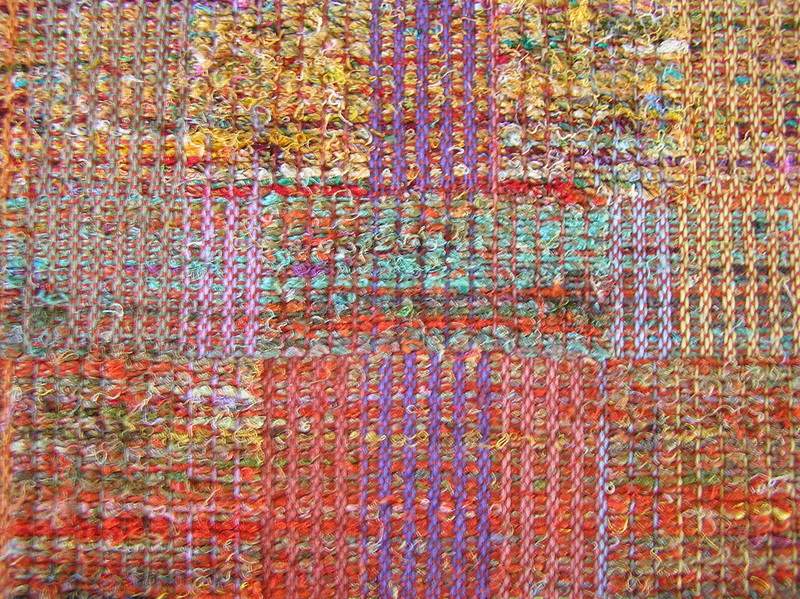 40” long x 16” using on loom warp design.